TRI (movie), Not Rated (2016), Movie Reviewed on December 13, 2016. Directed by Jai Jamison. Written by Theodore A. Adams III, Monica Lee Bellais, and Jai Jamison. Starring Jensen Jacobs (Natalie), Shawn Pelofsky (Candice), and Chris Dyer (Scott). Digital release on December 13, 2016 in the United States and Canada on iTunes, Amazon, Google Play, iNDEMAND, and other platforms December 13, 2016 (will be available in the UK, Australia, New Zealand and Ireland on January 23, 2017). Click here to purchase and view the film! We at Casual Runner love running and we love movies, so when we were approached about getting an early look at the first scripted narrative film about triathlons, we jumped at the chance. On a related note, how has there NOT been a movie about triathlons before? Really? 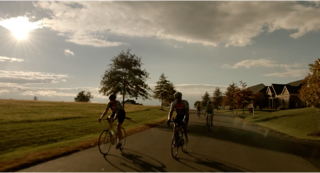 Added bonus: the action takes place in the Washington, D.C. area, which is a favorite running location for Team Casual Runner and it makes for some stunning visuals. Natalie is the every-woman who unknowingly is in search of some deeper purpose or meaning to her life. One day, she meets a patient who sparks her interest in training for a triathlon. She convinces her friend, Candice to join in her quixotic adventure and, together, the tri buddies spend way too much money on tri gear, join a triathlon training team, and embark on an adventure that will bring them more benefits than they could have imagined when they began. Editor’s Note: Our biggest objection to this film is that they spell the character’s name “Candice,” when we all know that the proper spelling is “Candace.” That is all. The plot is told through the vehicle of the pair’s training program, and the film follows these two friends as they explore both their existing and new-found relationships, and how they struggle with external and internal factors in an attempt to overcome the physical, mental, and emotional challenges which they set out to conquer. The role of the “villain” or antagonist is embodied in not only the triathlon event – the ultimate physical challenge to be met – but also in the ever-present reminder of mortality, which takes the form of cancer and other diseases and physical maladies over which we have no control. Interestingly, the film doesn’t hit you over the head with these themes, but finds a way to weave them into the narrative to remind use that we all have to overcome personal challenges in life. We try to avoid spoilers in these movie reviews, but you will be treated to some great visual imagery as you join the main characters throughout their running, swimming, and cycling training. To be honest, its very difficult to sit on the couch and watch this movie without feeling compelled to get up and go log a few miles or swim a few laps! It may also make you feel a little guilty about snacking on that big bowl of buttery popcorn you just popped…yeah, sorry about that. Remember how I said that this film takes place in the Washington, D.C. AREA? Do not expect big Hollywood shots of the monuments and the White House, that is not what this film is all about. In keeping with its theme and vibe, the scenes take place in the “local” D.C. metro area, where local residents live, work, and play. I definitely appreciated this glimpse of the D.C. locales that I know and love, especially the natural beauty of the region. The Good, the Bad, and the Ugly (but not really). To say that Casual Runners can identify with all of the characters in this film and their struggles is an understatement. Natalie and Candice could very well be any Casual Runner who chooses to go out and run their First Mile on the way to achieving a personal goal. In this regard, this is one of the most believable films that I have seen in some time. As a viewer you not only root for the characters, but you become invested in their journeys as if they are your own. The film also touches on the fact that when casual athletes take on a new athletic training program, they will have to balance aspects of their new lives with their old lives, including and especially relationships and schedules. While the film does not hit you over the head with this, it is nice to see that it is nonetheless included in the story as it is an important and very real aspect of such a journey. Admittedly, I found the scene that sparks the whole plot (where Natalie first learns about triathlon) to be a little forced. 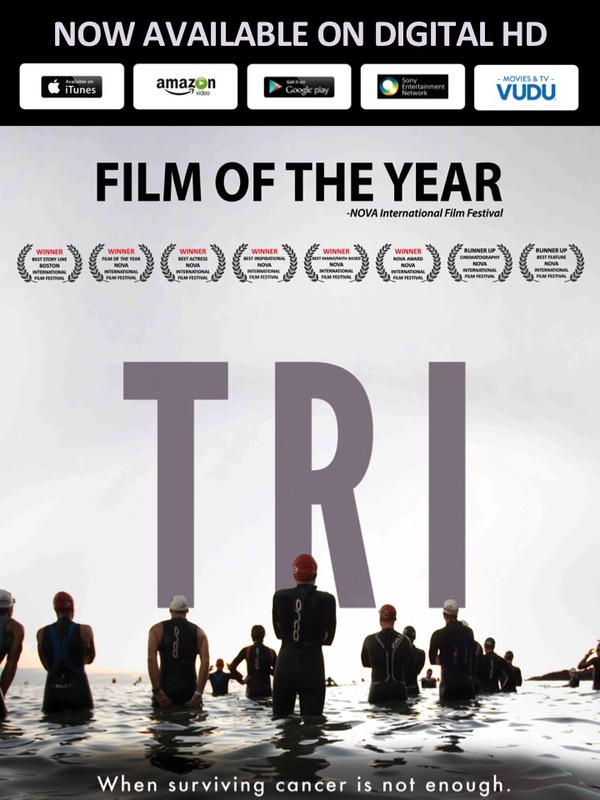 But the film quickly redeemed itself with a humorous take on the surprise one encounters when faced with the costs of gearing up for a triathlon, which hits close to home as it is one of the reasons I have not yet taken the full plunge from Casual Running to Casual Triathloning…yet! While I think that this film will appeal to many audiences, especially with its messages of hope and inspiration in particular with regard to cancer, Casual Runners will find many of the references particularly entertaining, as the dialogue is written in the language of casual athletes: DNS, DNF, SMOs. Trust me, you will be giggling to yourself or rolling your eyes begrudgingly at lines that go over the heads of some of your non-running friends. The IMDb page for this film calls this a “Comedy, Drama, Sport” movie. While it does have its funny moments, I would not call it a comedy, and while it has dramatic elements, it is not overly-dramatic. Instead, this movie finds a way to encapsulate – in an entertaining way – the every day lives of casual athletes. Thus, it is most definitely a sport movie. In the end, I think what I appreciated the most about this film is that they did not overdo it. Classic Hollywood demands that bigger is always better, but such a mantra would be antithetical to the journey that most Casual Runners and Triathletes experience. Like us, the characters in this film do not compete on a grand stage, but rather they toil away in anonymity and at times, solitude. It is at these times where we must call upon ourselves and our inner fortitude to overcome our greatest obstacles: self doubt and waning determination, a message that the film conveys very well. This film is definitely worth a watch for you and your running and non-running friends alike. But, if, after watching this movie, your significant other starts seeing charges on your credit cards for expensive triathlon gear, don’t blame us! What did you think about this movie? After you see it, please come back and let us know by leaving a comment below, we’d love to hear what you think.